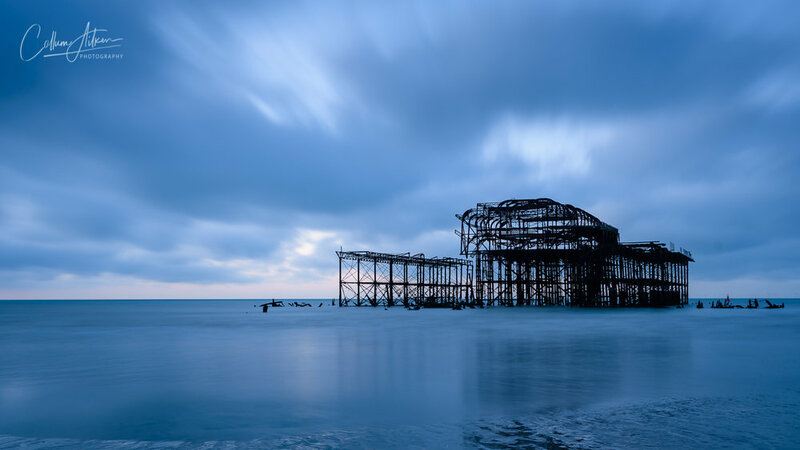 A very early start yesterday saw me heading to Brighton beach with my buddy Lee of Life at F8 Photography to try some long exposure images of the old pier. It's not something I've tried before, so a huge thanks to Lee for the opportunity and encouragement. For those interested in such things, the ability to select a long exposure (I was using around 30 seconds) is achieved by using neutral density filters - basically darkened glass that attaches in front of your lens creating artificially low light. The final two images above were normal length exposures, so you can see the choppiness of the waves and the more distinct cloud formations compared to the earlier shots using longer exposures. Once again, thanks to Lee for letting me tag along.